Create famous brand in one hundred, becoming the industry leader! 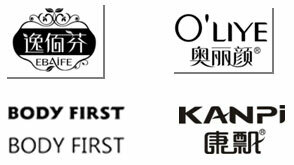 Guangzhou three posture cosmetics co., LTD., founded in 2000. Is a collection of scientific research, production, marketing, services in an integrated chemical enterprise. Over the years, with advanced technology, scientific management, in line with the "innovative, pragmatic, hard" spirit of enterprise, constantly blaze new trails, in the field of cosmetic fruitful, now has "EBAIFE", "O'LIYE", "BODY FIRST ", "KANPI", and other brands of nearly 600, marketing network throughout the country.